GOP slate good in District 34 Each bring a unique, positive perspective to the legislative process that will benefit the residents of South Dakota and Rapid City. “The residents of District 34 have a great slate of Republican candidates for the state Legislature this year — Jeff Partridge for Senate and Mike Diedrich and Jess Olson for the House of Representatives. I have known Jeff, Mike and Jess for many years. They each are thoughtful, committed and strong community advocates. They each bring a unique, positive perspective to the legislative process that will benefit the residents of South Dakota and Rapid City. They each also bring a wealth of professional experience, which is always a plus in Pierre. Jeff, Mike and Jess also have demonstrated tremendous commitment to their community as evidenced by the numerous groups and activities in which they are involved. If you want someone to represent you that will truly listen to your concerns and have the heart of our community first on her mind, then vote for Jess Olson. “It is my privilege to support Jess Olson for District 34 House of Representatives. I served with Ms. Olson on the Rapid City Library Board. She chaired the board with confidence and grace. She took the time to study the issues and helped guide the board with clear direction, while giving everyone the chance to participate and air their concerns. Dedication! Jess is dedicated to District 34. “Jess is firm in her beliefs but recognizes compromise is sometimes necessary. Jess will be an advocate for what matters the most to District 34, results. As a mother, wife, and God-fearing woman, she will bring trustworthiness and passion to the House. Jess is a skillful leader who demands the best and will fight for the best for District 34. Her will to make South Dakota a better place for all of us to enjoy is unmatched. “Our family is new to District 34, but we are not new to knowing Jess Olson as an extremely compassionate and extraordinarily capable leader in the Rapid City community. Her voice is strong and one of reason; something that is so desperately needed during these times. Jess brings professionalism and leadership to be a positive voice for District 34. “As a long time District 34 resident and voter, I am casting my vote for Jess Olson for House of Representatives. I’ve known Jess for many years, and she is the kind of person who holds my respect and who I know will represent us well in Pierre. She is a dedicated public servant who cares about her family, her friends and neighbors, and she works daily to make Rapid City and South Dakota a better place to live. Jess also brings professionalism and leadership to be a positive voice for District 34. I believe she will be a true advocate for our best interests, listen to the people of District 34 and make decisions with good common sense, fiscal stewardship, and from a caring perspective as a person who I know lives a faith-filled life. Jess is a dedicated member of the community… I have no doubt that Jess will work hard for you as a representative. “I’m writing to encourage your vote for Jess Olson, candidate for South Dakota House of Representatives in District 34. Jess has shown leadership, fiscal responsibility and a can-do attitude in her role as the Executive Director at WellFully, a Rapid City nonprofit organization serving children and families. With this skill-set, Jess will serve you well as your representative in Pierre. Beyond her work as a nonprofit leader, Jess is a dedicated member of the community, serving on the Chamber of Commerce Government Affairs Committee. She is also a past board chair for the Rapid City Library. I have no doubt that Jess will work hard for you as a representative. She is a great leader and a role model for others. I support her candidacy 100%. Her intelligence and understanding of the community of Rapid City was always an asset. “I worked with Ms. Olson during my time as director of the Rapid City Public Library when she served as member and then chair of the Rapid City Library Board of Trustees. During that time, Ms. Olson was extremely helpful and engaged with issues involving the library’s relationship with the city and the public at large. Her intelligence and understanding of the community of Rapid City was always an asset in aiding the library in best serving the residents of Rapid City. Ms. Olson was articulate, responsive, and conversant in the issues of concern to the Board of Trustees. It was probably her familiarity with the minutia of the issues that made Ms. Olson a valuable ally and an effective chair of the library’s Board of Trustees. Jess Olson is the kind of leader we need. Someone we can point to and say to our children, ‘be like her.’ It’s for these reasons and more, I plan to vote for Jess Olson for District 34. “Now, more than ever, we need leaders with character, courage, and common sense to serve us at all levels of government. Leaders guided by values and driven by a vision for what could and should be. Leaders who are a force for good. This is why I am pleased to support Jess Olson to serve as the District 34 South Dakota state representative. She is exactly the kind of leader and representative we need in Pierre! Many candidates call themselves a leader, Jess Olson has proven it. She has earned the respect of many community members with the outstanding work she has done as CEO of Wellfully. Many kids (and now, adults) have learned to make better choices and have found purpose in their lives because of this remarkable organization. This doesn’t happen by accident, it takes a great team and visionary leadership. Jess believes Rapid City (and South Dakota) is where possibility lives. I have no doubt that Jess will fight for what’s best – not just for her district, but for South Dakota as whole. “It’s vital to support qualified individuals who are eager to represent us in our state government. That’s why I’ll be voting for Jess Olson to represent District 34 in the South Dakota House. Jess can hit the ground running on day one of her term and will bring renewed enthusiasm to the House along with the qualifications necessary to create a positive impact. In my time working with Jess, I quickly came to realize her effectiveness as a leader. As the Executive Director for WellFully, Inc, she has shown strong fiscal management skills by balancing the budget which helped the non-profit go from operating at an annual loss to operating with an annual surplus. In addition, Jess has shown visionary leadership as evidenced by WellFully’s current growth. She is spearheading a new building for the non-profit that will almost triple its capacity. The direct results of this project will have a positive impact for over 900 local youth per year. As neighbors for nearly 4 years, we have experienced firsthand Jess as a committed wife, mother, daughter, and friend who is passionately involved in the lives of others. 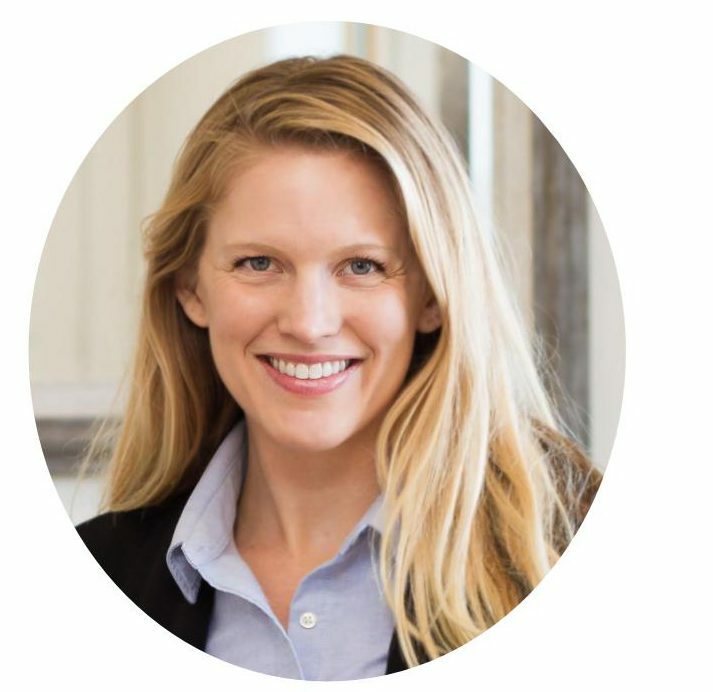 Jessica Olson would be a wonderful representative for District 34!